A mother-daughter duo in Tulsa, Oklahoma, were confronted by an armed robber at their neighborhood liquor store. The girls grabbed their own guns, and a shootout ensued, with the robber ending up in the hospital with serious injuries. Tulsa police responded to the store near 12th and Memorial just after 6 p.m. Thursday after the clerk called 911, saying they shot the suspect multiple times. The suspect was gone by the time officers arrived, but he later showed up at a local hospital. 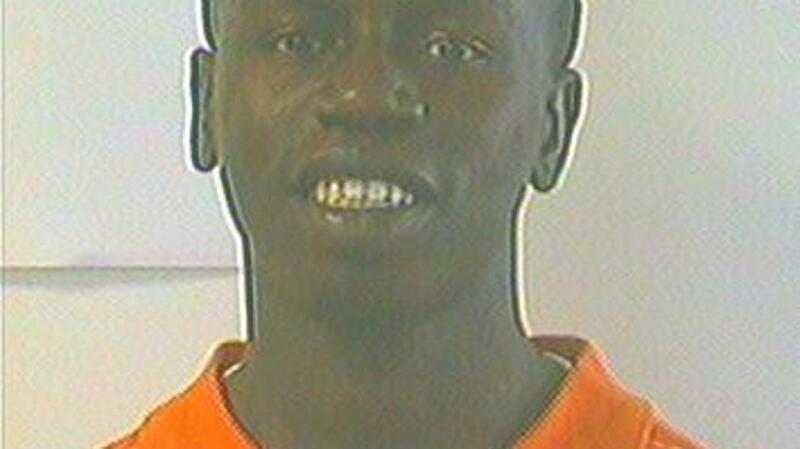 Police have identified the suspect as Tyrone Lee and believe he’s connected to 10 other robberies in the area. 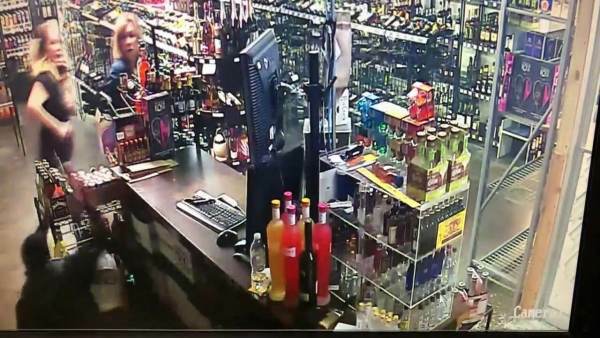 They say Lee walked into the liquor store Thursday evening with a shotgun, demanding money. 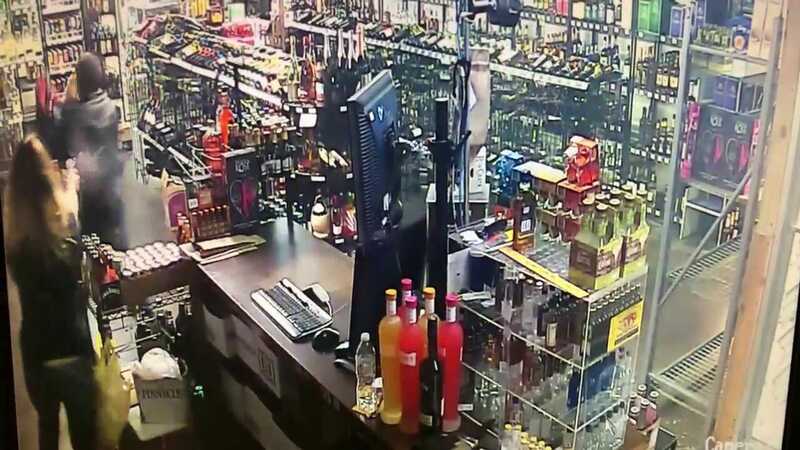 Surveillance video shows the suspect behind the counter before walking out of the camera’s view. The owner and her daughter both grab their guns, and when the suspect returns, the owner opens fire. The anti gun website “gun violence report” has listed this as incident of “gun violence”, no doubt so the Bloomberg organizations can parrot more phony statistics. Let’s look at several key still frames from the video. Robber makes his way behind the counter with what appears to be a short barrel shotgun and starts to grab bills. Mom makes her way to the register as it looks like the robber starts to leave, and the daughter hands mom a gun. 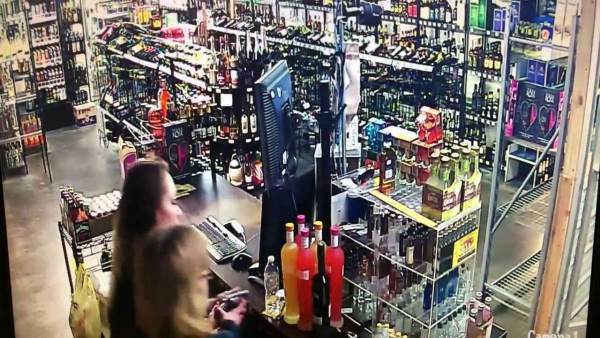 Mom fires a round into the robber at point blank range. Mom continues to track the robber and a few more rounds are fired. 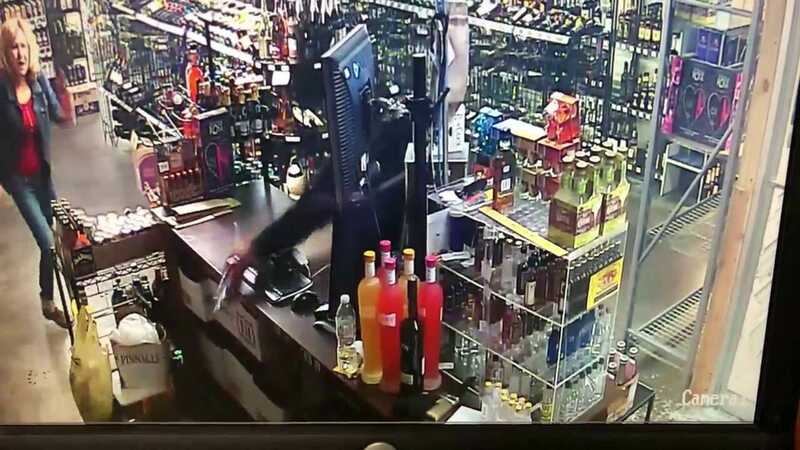 It’s unclear if the robber is shooting at them. Robber goes back into the store, and gets right in mom’s face. 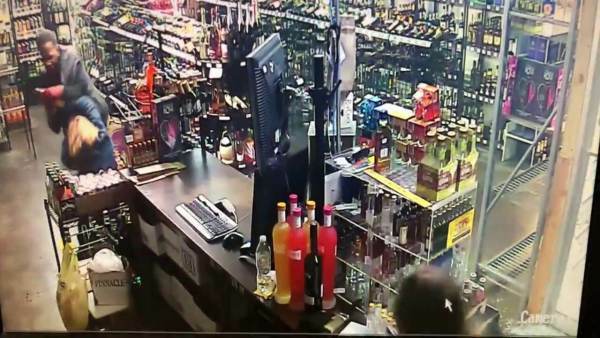 Robber starts to grapple with the mom, daughter fires a round into the robber’s back. Robber tries to wrestle the gun away from mom. The robber has gotten control of mom’s gun, but it looks like a revolver that’s out of ammo. He brings it to bear the daughter, and the daughter fires again at point blank range. 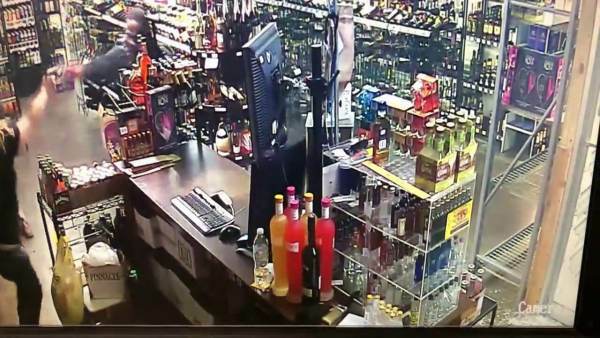 Robber still on his feet and tries to shoot at the daughter over the counter. Again, it looks like a revolver that’s out of ammo. 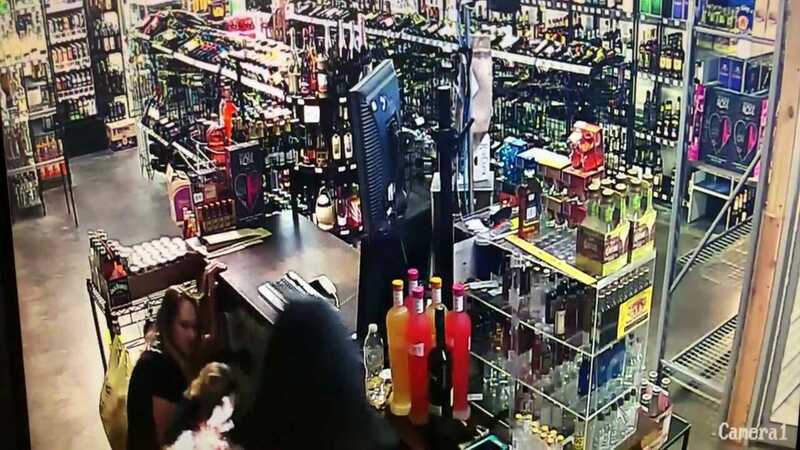 Finally the wounds are affecting the robber, as he stumbles around behind the counter. 1) Always keep your firearm on your person. Not in a purse, not under a counter, not in a hidden compartment, but in a holster that is attached to your body. 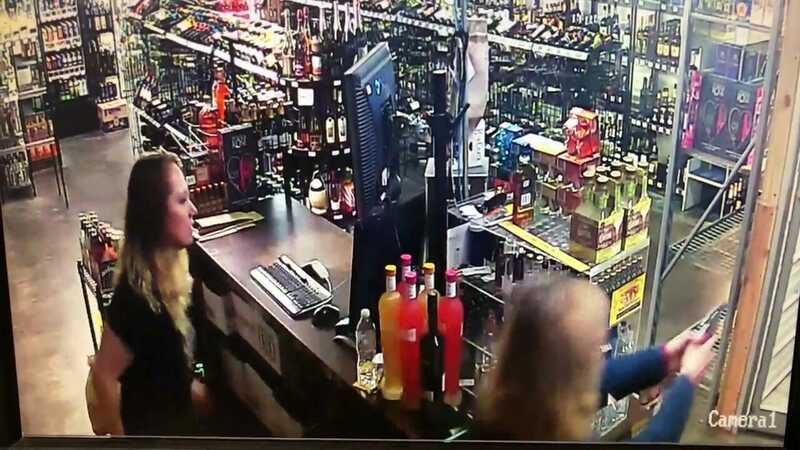 The ladies were helpless as the robber was behind the counter, where their guns were. 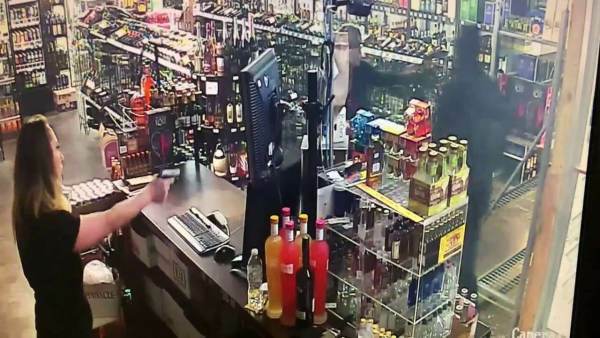 Had they had their firearms on their bodies, they could have drawn immediately once the robber was recognized as a threat. You could even see the daughter start to reach for the gun under the counter before he got back there. 2) Professional firearm instructors train citizens to shoot until the threat has dissipated and is no longer a threat. Usually this is accomplished via incapacitation and or with the bad guy fleeing. 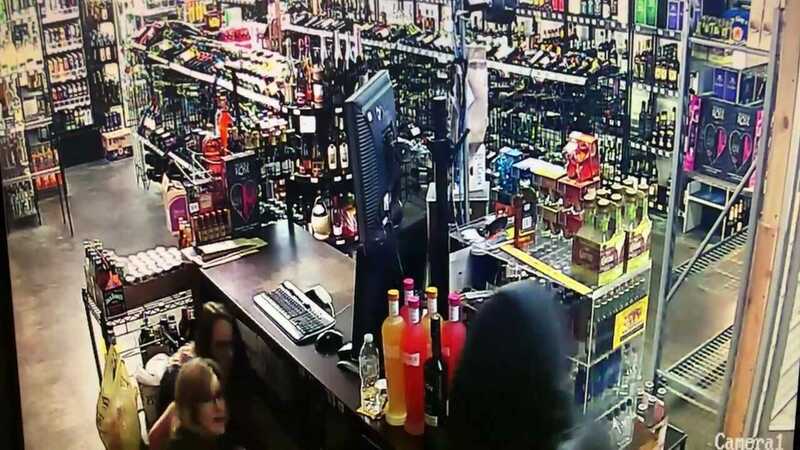 In this scenario, the ladies stopped firing, the robber kept coming at them, and they had to fire a couple more shots, but until the robber was on the ground and unable to get up, he was still a threat. Law enforcement officers are trained to keep firing until the threat is no longer a threat. There was even a video of a cop unloading 10 rounds into a bad guy in rapid succession because the guy kept coming at the officer and kept reaching for his own gun. 3) Practice. This includes your drawstroke, handling of the firearm, marksmanship (or markspersonship as Justin Trudeau would say), and using verbal commands. The draws weren’t real draws because the firearms weren’t attached to their bodies, and so they looked uneasy and hesitant. Notice they would fire a round or two then bring the gun down from being on target. See number 2. It’s unclear how many rounds hit the bad guy, and someone with adrenaline pumping and/or drugs in their system can someties take several rounds before going down. Loud, assertive verbal commands help, as well. Though, again, it’s hard to tell in the video, but strong shouts of “DROP YOUR WEAPON!” are generally part of firearms training. 4) Don’t EVER let the threat get that close to you. This situation could have ended in a double murder case had he wrestled away a gun that still had rounds in it, or if he still had his own gun on him. A confirmed threat that is bearing down on you like that should be the recipient of more lead. 5) Small calibers and low capacity are often insufficient. I don’t know exactly what guns the girls had, but they appear to be a revolver and a small semi-auto like a .380. Obviously more stopping power was needed. 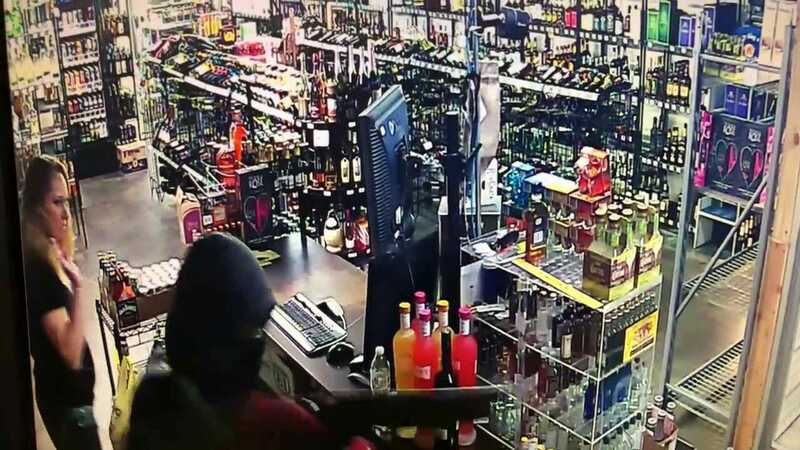 If they had more capacity and/or more powerful rounds, the robber likely wouldn’t have made it back into the store. Even if he would have, mom wouldn’t have been helpless by the door when the robber started to go hands-on and she could have fired a few more rounds into him before he got that close. Overall, though, considering the circumstances, I say a job well done and one more scumbag removed from society.